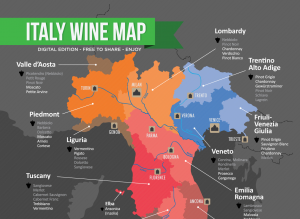 From Piemonte to Veneto, the northern regions of Italy are home to some of the finest wines in the world. This is the area where Nebbiolo reigns supreme yet Prosecco plays an important role in the vibrant lifestyles of the people of the region. Italy is all about wine and food and living life to its fullest. Join us as we tour the tastes of Northern Italy.